The SA Student Sevens Men’s team won the FISU World University Rugby Sevens Championships in Swakopmund this weekend, beating the defending champions, Australia, twice in the process. 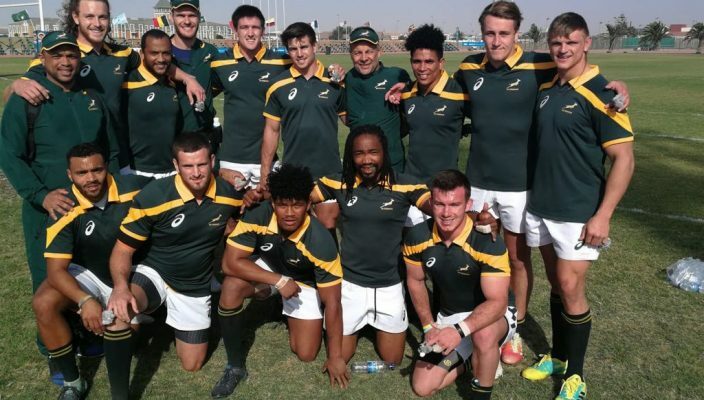 Three capped Blitzboks, the captain Rhyno Smith, James Murphy and WJ Strydom, were part of the side and their experience counted in the Namibian desert. They started the tournament with a massive 66-0 victory in their pool opener against China, after which they beat Australia by 26-14, setting up a quarter-final clash against Malaysia. Smith and his team dispatched the Malaysians by 54-0 and then met France in the semi-final, a match in which the South Africans had to dig deep to win by 14-12. The final was against Australia and the scoreline was similar as it was in their pool match, with the SA Students coming out on top by 24-14 to claim the silverware. 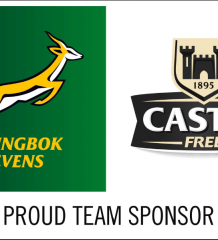 The SA Student Sevens Women’s team finished fourth after they lost in the bronze medal match to Belgium (17-0). The draw had to be amended as a number of teams withdrew, which meant that all the sides played each other at least once. In the build-up to the knockout phase though the South African Women beat Brazil (27-0), lost to eventual champions France (43-0), beat Australia (17-12) and drew with Belgium (12-12). Unfortunately they could not repeat their victory over Australia in the semi-final and were beaten 21-12, setting up the third-place playoff against Belgium. The event was the first International University Sports Federation rugby sevens competition to be hosted in Africa.